When I saw this list, I had to laugh. I totally agree with it. Especially the number one on the list. The fairies from the “Clap Your Hands If You Believe” episode was just ridiculous. I mean, come on…fairies? Really? Anyway, here’s the list. As you guys know, the plot line of the “Mother of All” came up in Supernatural on the episode “Like a Virgin.” At first, I didn’t know what they meant. I thought it might have meant that the “Mother of All” was the Greek goddess Gaia or something similar because Gaia was the personification of Mother Nature. I also thought that it could have meant that the “Mother of All” was the mother all supernatural creatures. But now that the show said that the “Mother of All” was Eve, I didn’t think that they would take it so literally. Anyway, I’m curious at to what will happen with the “Mother of All.” Will she be like Lillith and try to destroy the world? You know, I don’t know how I came to find this article but I did. As I was reading it, my jaw dropped. 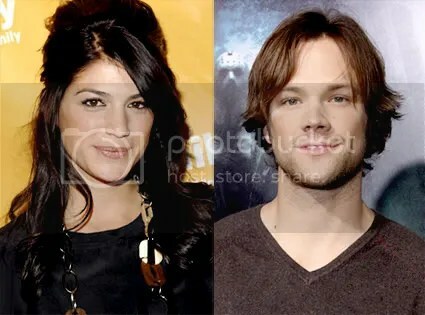 I didn’t know that Jared Padalecki was dating anyone, let alone engaged to anyone. So when I saw the article, I was like “What?” Then when I realized that he got married to Genevieve Cortese, the second actress who played Ruby, I immediately thought “Eww! He married Ruby!” I know that Ruby and Sam are just characters, but in this case, it’s hard to separate the actor from the character. Anyway, I’m glad that Jared found someone. I hope they last. 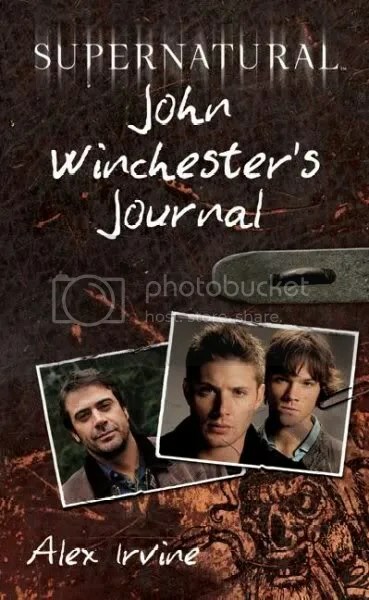 I was watching Bloody Mary from the first season of Supernatural and it briefly mentioned John’s journal. That made me think. I have hardly seen the journal in seasons 3-5. I wonder what happened to it. 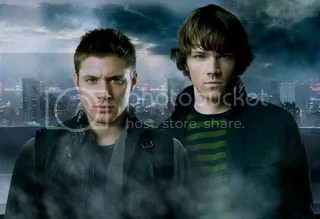 Did Sam and Dean lost it? But then, why would they lost it when it’s their father’s most prized possession? Is it possible that Sam and Dean gave it to Bobby for safe keeping? I don’t know. Back in October, I wrote a post about this Supernatural music video and how it reminded me of Whitney Houston. In the original post, I said that I couldn’t find a clip of Kathy Griffin’s impression of how Whitney Houston said Bobby’s name on the show Being Bobby Brown. Anyway, the reason why I’m updating the original is the fact that I finally found a clip of Kathy Griffin doing her impression of Whitney Houston. The part is around 7 minutes and 57 seconds in. Anyway, enjoy. I found this Supernatural music video recently. Anyway, the part where Sam says “Bobby” reminded me of when Kathy Griffin was talking about Whitney Houston and Bobby Brown on one of her TV specials. Unfortunately, I couldn’t find a clip of that specific moment. Anyway, if you know which clip I’m talking about, then you’ll see where I’m coming from. I just thought it was funny. With season 5 just starting, that made me think about the previous four seasons. Is it just me or does it seem like as the seasons progressed, the quality of the stories and the fear factor gone down? I personally think that it’s because we, the fans, have gotten over the thrills of seasons 1 and 2, and kinda of come to expect to be scared. I don’t know. That’s just what I think. Oh, and plus, I think whole storyline of old Yellow Eyes ended with his death in season 2. I think that’s when they tried to expand his story with Sam and the whole war thing, it got convoluted. Anyway…yeah.